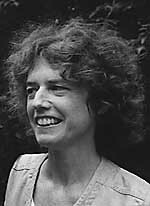 Lise Weil, IMA faculty, had a revelation 26 years ago: “The essays that were being written by my friends at that time were to me the most exciting and important things being written in the feminist world, and I wanted to publish those essays and to attract more writing of that kind. I also wanted to create a space where women could take themselves seriously as thinkers.” That vision led her to found Trivia: A Journal of Ideas, which, over its 13 years as a print journal, published feminist writer throughout the U.S. and Canada, such as Gloria Anzaldua, Andrea Dworkin, Mary Daly, Kim Chernin, Nicole Brossard, Paula Gunn Allen, Renate Stendhal and Betsy Warland. 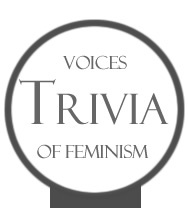 Trivia had an impact on the field of women’s studies and won grants from the NEA and the Mass Council on the Arts. In 2004, some IMA students approached Weil to join them in resurrecting Trivia as an on-line journal. Since that time, Trivia has flourished, again helping to shape feminism. While Trivia used to focus more on discursive prose and experimental critical writing, the new Trivia embraces creative writing as well. “It’s changed too,” explains Weil. “The notion of feminism used to be much more monolithic. The current issue, “Unabashed Knowing,” was edited by Weil with co-editor and Goddard alumna Harriet Ellenberger. “It’s about women’s power of knowing, this ancient oracular capacity that women have always had to speak truth that no everyone wants to hear, to know things that not everyone wants to know,” Weil says. Upcoming issues continue to embrace a wide spectrum of feminism. “Thinking about Goddesses,” currently being co-edited by Weil wit h Hye-Sook Hwang, a Korean goddess scholar, will incorporate stories, experiences and visions of and research on goddesses. Beyond that, Weil will co-edit an issue with acclaimed Canadian writer and scholar Betsy Warland, “Are Lesbians Going Extinct?” Based on a line from Nicole Brossand – “A lesbian who does not reinvent the world is a lesbian going extinct” – the issue asks writers, thinkers and activists to consider whether, as they are more accepted and occasionally even embraced by mainstream culture, lesbians are still reinventing the world. Photos, form top: Lise Weil, artwork courtesy of Gabrielle Meixner, and Trivia Logo. This entry was posted in Activism, Creative Writing, Cultural & Cross-Cultural Studies, Embodiment Studies & Body Image, Feminism, Women's & Gender Studies, Transforming Trauma and tagged Betsy Warland, Caryn Mirriam-Goldberg, Deena Metzger, Harriet Ellenberger, Hye-Sook Hwang, Judy Grahn, Julianna Borrero, Lise Weil, MeLissa Gabriels, Mercy Morganfield, Nicole Brossand, Rhonda Patzia, Sara Wright, Susan Moul. Bookmark the permalink.